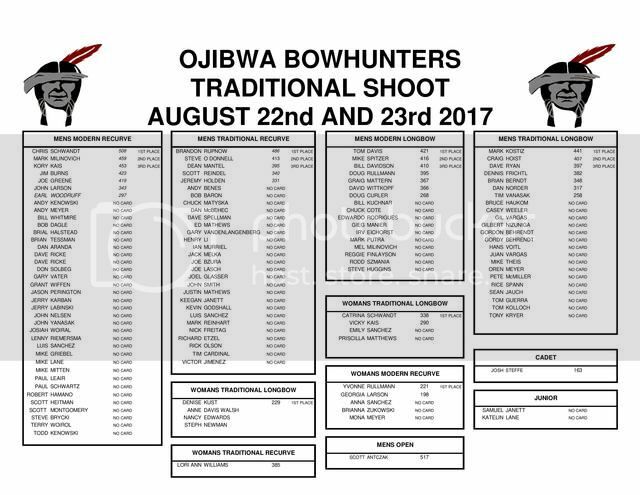 Ojibwa Bowhunters is inviting everyone out to our club in New Berlin, WI for a great event. 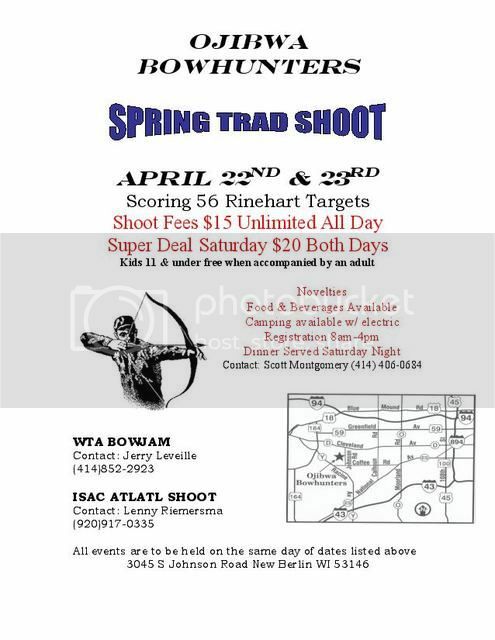 BowJam, International Atlatl Competition as well as our yearly spring Trad shoot. Free camping with electric. Food and beverages will be served. See the flyer for more info or contact me! Thanks and hope to see you there! I always look forward to this shoot! Good time! TTT this shoot is coming up this weekend. Remember there is also an associated bowjam event being sponsored by Ojibwa and the WTA. There is also a meeting for the Directors for the WTA sometime during the day on Saturday. Sunny and 60's.... the international Atlatl competition going on as well, they start this afternoon so come on out early if you like, campsite will be open early! Ojibwa will be serving the best, yes, the best homemade Mexican food on Saturday afternoon, this is separate from the WTA pot luck thats going on as well! The food....was awesome ! Yum. Good shoot, i had fun. I cannot believe the number of people that participated in the bow jam. A lot of fun was shared. Yeah Chuck, thanks for attending brother, it sure was great seeing all the folks making bows, especially the youth, very cool! It appears a couple bows were left behind at the club, please PM me if you have any idea whose they are! Thanks!